World travelers have a reason to rejoice! With a 3-D embossed front cover, this tote measures approximately 6 3/4-inches x 8 1/2-inches x 3 3/4-inches. 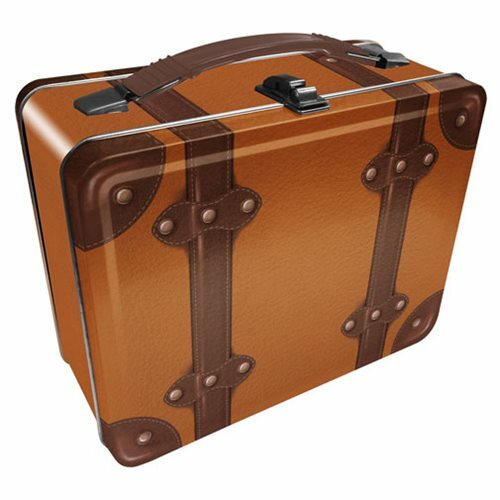 Including a beefy handle and overall construction, this Steamer Luggage Tan Gen 2 Large Fun Box Tin Tote is the perfect place for your stuff. Clean with damp cloth. Ages 14 and up.